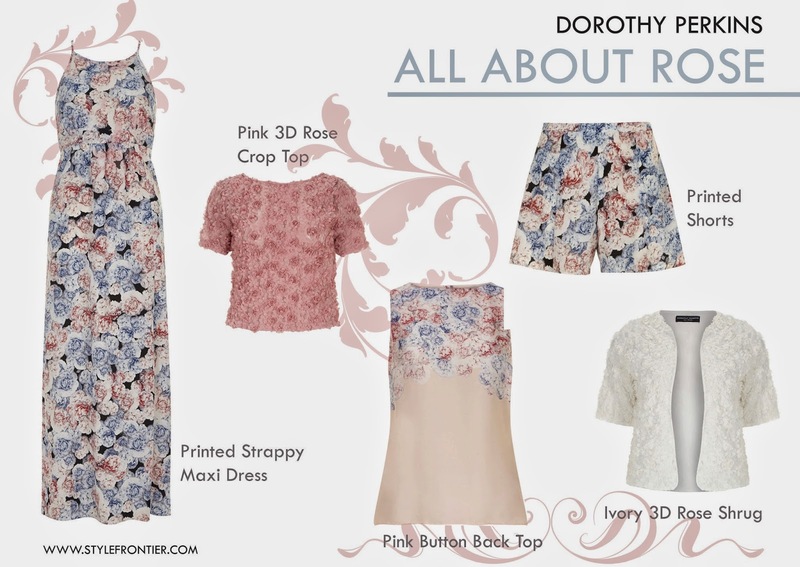 Dorothy Perkins recently launch its summer collection entitled All About Rose. Embracing British heritage, All About Rose also remind us about the beautiful English Garden theme that influences romanticism in mid century. With dominant colour of pastel, neutral and some bright accent, it takes the feminine sense with modern silhouette, creating collection that is appropriate for casual summer wear. My favourite pieces include the Print Maxy Dress, Applique rose top in pink, Pink button top, Printed shorts, and Applique rose jacket. This delicious collection of standout dresses, pleated skirts, soft tailoring and stunning separates has been pulled together to mix textures and prints; and encapsulates the floral trend with roses and flower detailing in jacquard, lace, appliqué and embroidery. As the name suggests this new 16 piece collection includes the literal Rose print but also has subtle floral insignias and tone on tone stitching to create a feminine and romantic aesthetic that works for every summer occasion.